Lama Zopa Rinpoche at Atisha Centre, Australia, March 2011. Dharma for Your Digital Device! Lama Zopa Rinpoche performing incense offerings, Aptos, California, February 2011. Firstly, someone in Delhi told me recently that a big question in the world is that more and more people don’t trust their government any more. 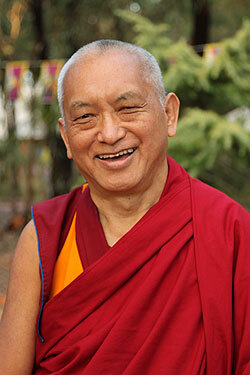 Read the full advice on Rinpoche’s Advice page. Rinpoche is doing well. Progress is still slow, but seems normal for this situation. The main thing is that there is still progress. Rinpoche is more independent, using the right hand more and the right leg is stronger, we just need to focus on getting the action more correct. Rinpoche’s speech is very clear when speaking Tibetan. In English, if he doesn’t make effort, there is a slight slur. 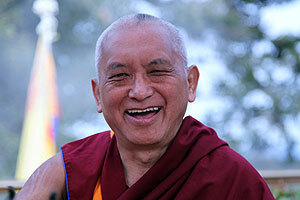 But when teaching and [when] Rinpoche focuses on the pronunciation, it is clear. Blood pressure and sugar levels are good for Rinpoche’s situation, and the doctors are pleased. Long term, Rinpoche doesn’t want to have to take Western medicine if possible. So in the long term, we have to find other methods combined with a good lifestyle! Thank you everyone for all your support and kindness. Lama Zopa Rinpoche and Dhakpa Rinpoche, Dehradun, India, April 2012. Read the full post on Ven. Roger Kunsang’s blog. 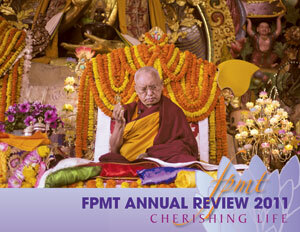 With great delight and much rejoicing that we invite you to read the FPMT Annual Review 2011. At the start of each year, FPMT International Office studies the year prior and identifies a main theme for the past year in order to frame our accomplishments and rejoice in our collective effort. Because of Lama Zopa Rinpoche’s stroke and ongoing rehabilitation and physiotherapy, 2011 was not a typical year for FPMT as our incomparable spiritual director was not available in the ways we have grown accustomed to, and taken for granted, year after year. But what was beautifully typical were the ways in which the FPMT organization demonstrated its characteristic resilience and strength in the face of adversity. In fact, for nearly 40 years, the organization has demonstrated time and again its ability to triumph over obstacles, due mainly to its strong foundation, structure, and the good hearts and effort of its students and supporters. With these events and developments in mind, we offer “FPMT 2011: Cherishing Life” as the title of this year’s Annual Review. It is with great joy and heartfelt thanks for your support, that all of us here at Lama Zopa Rinpoche’s International Office present you with this collection of accomplishments and highlights, with our strong wish that it becomes the cause for all of Lama Zopa Rinpoche’s wishes to manifest without delay and that his life be long and stable, for the benefit of all. Rinpoche’s amazing letter from the Annual Review is available to read separately in English, Chinese, French, Italian and Spanish. International Office welcomes Trevor Fenwick as our new Donor Services Coordinator. Trevor has taken over from Heather Drollinger, who has helped almost every department at International Office over the last few years. We extend a big thank you to Heather, and a warm welcome to Trevor! Two new Spanish Living in the Path courses are now available on the Online Learning Center. We are pleased to welcome Joona Repo as our new FPMT Translation Coordinator. Joona holds a Ph.D. in Art and Archaeology from the School of Oriental and African Studies, University of London. He is also currently pursuing the study of Tibetan language at Tibet University in Lhasa. Joona will work with our international team of translators who translate Tibetan texts into English. He will also be instrumental in coordinating FPMT’s Translation and Editorial Committee (TEC), the Lotsawa Rinchen Zangpo Translation Team (LRZTT) and the Advisory Board. His first project is to work with these groups in order establish an FPMT standardized glossary for Tibetan to English terminology, identified as a critical priority at last year’s FPMT Translation Conference at Istituto Lama Tzong Khapa, Italy. Je Tsongkhapa’s Lam-Rim Chen Mo, or, The Great Treatise on the Stages of the Path is one of the most renowned Tibetan Buddhist classics. The work falls into the lam-rim genre which stemmed from the Kadampa school of Tibetan Buddhism. We are delighted to announce that the first two volumes of this classic are now translated into Vietnamese by Nhan Vo Quang. The third volume will follow shortly. Get the Heart Practices for Death and Dying for FREE with every order of Heart Advice for Death and Dying. An awareness of death and impermanence is one Buddha’s most fundamental teachings, and certainly for new students, easily one of the first life-changing lessons they will be exposed to on the path. 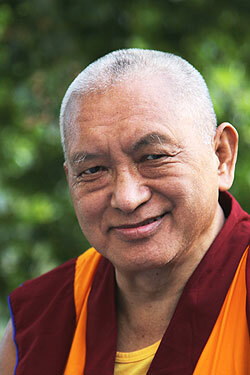 Explore the truth of death and dying by bringing Lama Zopa Rinpoche’s Heart Advice and for Death and Dying and Heart Practices for Death and Dying into your home. Together, Heart Advice and Heart Practices for Death and Dying contains all of Lama Zopa Rinpoche’s essential advice for the time of death; the most powerful mantras for those who are dying or who have died; teachings on their precise benefits; a sheet of mantras to place upon the body of one who has died; as well as an MP3 disc with an audio course consisting of 11 hours of exquisite teachings and meditations on death and dying led by Ven. Sangye Khadro. Click on this link, Heart Advice for Death and Dying, to add the book to your shopping cart. Become a Friend of FPMT and stay connected to all the FPMT has to offer including the FPMT Online Learning Center, Mandala magazine and many complimentary resources offered at the free FPMT Membership level. Lama Zopa Rinpoche, France, September 2011. The 10th FPMT International Sangha Day, celebrated on the occasion of the day marking the First Turning of the Wheel of Dharma, is on July 23. Please plan your events and your annual donation to the Lama Yeshe Sangha Fund, and look out for a further announcement via the CPMT e-group! Our newest guide, Guide to Appropriate Behavior for Ordained and Lay FPMT Registered Teachers is essential reading for all FPMT registered teachers, directors and SPCs. The guideline can be read and downloaded from the Teacher Policy and Information page in the FPMT Affiliates Area. As previously announced via the CPMT e-group, the world map which is part of the FPMT Display Pack and shows all FPMT centers, projects and services has just been updated! Download it from the FPMT Display Pack page in the FPMT Affiliates Area. “Dear friends, The 6th Lotsawa Rinchen Zangpo Translator Programme is starting on October 1, 2012, which is in only six months! The graduates will be ready to serve your center as interpreters in 2014. If you receive touring teachers, host a geshe or plan to host one in the future, you need a well trained interpreter. The deadline for application is June, leaving you just about two months to search for candidates among your members. Individuals who are interested to train as interpreters should think seriously about applying now too. Universal Wisdom Education (UWE) is now Universal Education for Compassion and Wisdom (UECW). The Lama Yeshe Wisdom Archive has just published its first book in the new Heart Advice Series, Lama Zopa Rinpoche’s Bodhisattva Attitude. Heart Advice is a series of core teachings – the “heart advice” – taken from the experiential teachings of Lama Zopa Rinpoche. The main resource is Rinpoche’s major retreats, commentaries and transmissions since 2008, although other archive materials supplement these. The goal is to preserve and make available Rinpoche’s unique style and lineage of teachings and practices. Atisha Centre in Australia is looking for an SPC; Milarepa Center, USA is looking for a center manager and a facilities manager; Root Institute, India is looking for someone to help develop the curriculum for their new school; and Mahamudra Retreat Centre, New Zealand has various openings. Chenrezig Study Group in Indiana, USA has closed.